ANGELENOS will once again enjoy a top-notch musical performance from the Ryan Cayabyab Singers (RCS) on Sunday, April 7 at the John Wayne Performing Arts Center in Glendale California. 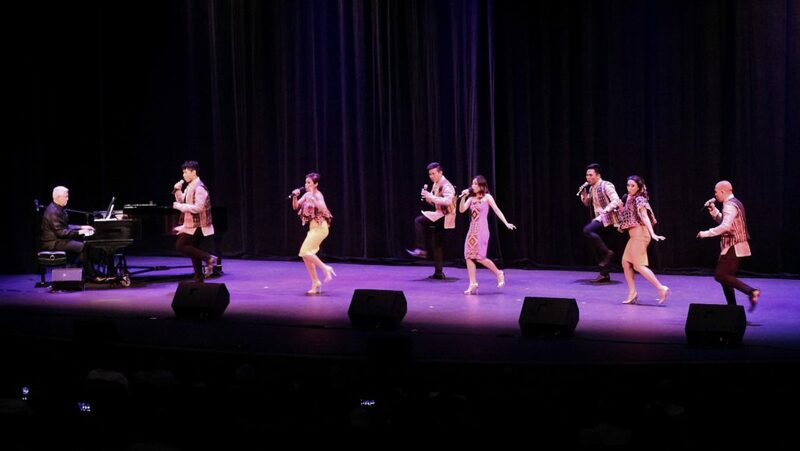 On this third U.S. tour, the multi-talented RCS, directed by Maestro Ryan, will perform hits from the Cayabyab catalog, and other new popular songs in show-stopping song-and-dance numbers. The tour is in celebration of Cayabyab being recently conferred the title National Artist for Music by the President of the Philippines in Malacanang last October 2018. Los Angeles Filipino-American artists, who have a history of working with Maestro Ryan, or “Mr. C” as he is popularly known, will be joining the show. Mirielle Ann and Neal Sean Enriquez will also be playing a special violin and cello number, and dance groups The Riot and Kayamanan ng Lahi and choirs LA Young Ambassadors and Inspirare Vocal Ensemble will be filling the stage with their voices in a grand finale. Renowned as the first to record one-man multi-track acapella albums, popular to this day, Mr. C, as he is popularly called, is the most popular and prolific composer of his time. Best known for his songs, Mr. C first burst onto the scene with “Kay Ganda Ng Ating Musika” which today remains THE anthem for heralding our musical culture. Other hits are “Tuwing Umuulan at Kapiling Ka,” “Kailan,” “Tunay na Ligaya,” “Da Coconut Nut”, “Once Upon A Life,” and many more. He has penned the most successful and relevant musicals “Rama Hari”, “Noli Me Tangere” and “Katy!” and scored many films, including his own musical “Ang Larawan” heralded as the Best Picture of the 2017 Metro Manila Film Festival. Amidst conducting PhilPop Songwriting Competitions and national workshop tours for Akapela Open, Maestro Ryan continues to direct and create for the Ryan Cayabyab Singers. The Ryan Cayabyab Singers (RCS) is the Maestro’s “Dream Team”: a vocal powerhouse comprised of seven soloists, each with a different musical background. They are Poppert Bernadas, Katherine Tiuseco, Celine Fabie, Nica Tupas, Erwin Lacsa, VJ Caber and Anthony Castillo. Together they are a vibrant brand of artistry that masters, re-invents, and delivers that stellar sound that is unmistakably the product of the Maestro. The group’s edge lies in the members’ individuality, coupled with the youthful enthusiasm that endears them to fans. The RCS released its self-titled album with Sony BMG in 2007 “Ryan Cayabyab RCS,” whose carrier single, “Let Me Love You Tonight,” won Best R&B Song. RCS also won Best Performance by a New Group from the 21st AWIT Awards (the Philippines’ Grammy Award). In 2011, the second album “RCS Repackaged,” was distributed by Ivory Records. Prior to its successful 2016 U.S. Tour, RCS released “Sa Panaginip Lang,” with songs penned by the members in collaboration with Maestro Ryan. RCS toured the US again in 2017, and London (2017) and Germany (2018) as part of famed designer Renee Salud’s Philippines’ Tapestries. For tour and ticket information, visit www.musicartsevents.com. The show starts at 6 p.m. Venue address is 1440 E Broadway, Glendale CA 91205. Ticket buyers may also opt to call (818) 303-5567. Tickets are $35-$125. Presented by Music Arts Events and Philippine Patrons of the Arts USA, the concert is co-produced by JIR Foundation, Faith Hope Love Family Music, ANCOP USA, Diva Brava Entertainment, Meycauayan Association of Southern California. Major sponsors are the Asian Journal, TFC The Filipino Channel and Individual Health Care. 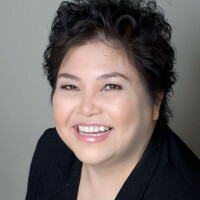 Community Partners are The Filipino American Chamber of Commerce of Greater Los Angeles (FACCGLA), The University of the Philippines Alumni Association of Greater Los Angeles (UPAAGLA), LA Lions Synergy, The Filipino American Chamber of Commerce of Hollywood (FACCHO), Bahay Kubo Center for Philippine Culture and Arts. Other sponsors are LA Rose Café, Auntie Dees’ Bakery, Toto’s Lechon, House of Grill, Fiesta Fastfood, and Flowers by Ed Rame.